Want to create a wedding hashtag that is unique? 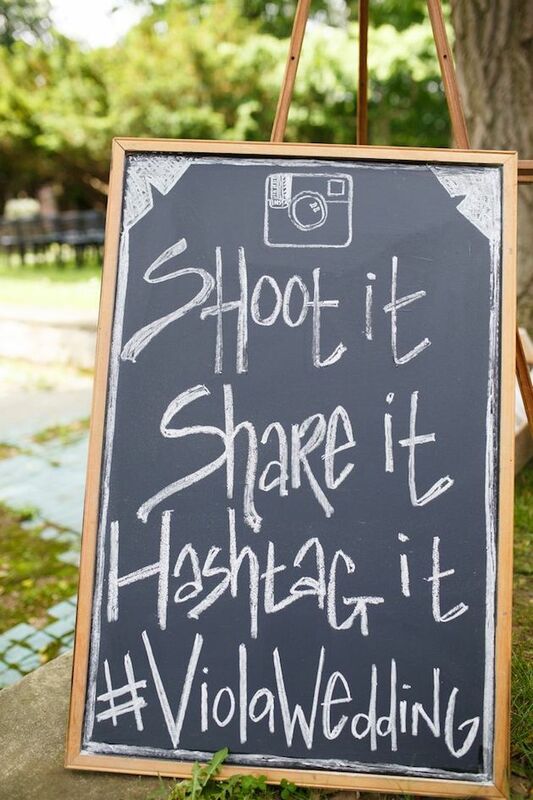 Wedding hashtags are a practical way to encourage guests to share photos of your big day. But, as more couples continue to opt for this socially savvy tool, it can be super stressful to create an original wedding hashtag for your wedding day. Another #stressor? Making sure that your hashtag isn’t offensive, awkward or sending an unintended message. To avoid a social media mishap, we’ve pulled together some guidelines for creating your wedding hashtag. Check all social media sites to ensure that your hashtag isn’t already being used by someone else. It’d be super awkward to go through your photos only to find that half of them are from someone else’s wedding (or something else…). A long hashtag can be hard to remember, say, spell, or type… Don’t make it hard for guests to use your hashtag, by keeping it concise! 3. Will you have more than one? Sticking with one hashtag on your big day will make it easier to find the photos after the event, and guests won’t get confused about which to use when. But if you want to flex your creative muscles, think up other options for the shower and bachelorette! 4. Did you capitalize where needed? Capitalization can be key, helping guests to actually make sense of your hashtag. Try capitalizing the first letter in each word or name so that your hashtag is easier to read and use. 5. Does it feel personal? 6. Does it say something you don’t want it to? Read, read, and re-read. Before selecting your hashtag, double check that it doesn’t say something inappropriate. For example #kateandianalways might read as Kate and Ian Always to you, but others might see it differently. (Read it again!) When in doubt, consult a friend or a pro. 7. Is it spelled correctly? Be careful with creative spelling… #JakeandTomForever makes more sense than #JakeandTomForeva, right? Thinking of using a #weddinghashtag? Check out our other tips for getting it right!